Although the question: “What’s in a name?” was first posed by Shakespeare’s Juliet, you can ask this question to learn interesting information about things you love, even tomatoes. Like Romeo, tomatoes have been erroneously maligned due to their name and relations. The botanical name for tomato is Solanum lycopersicum or “Wolf Peach.” Oddly, 15th century Europeans mistakenly linked the tomato, a member of the nightshade family, with powerful qualities that supposedly would attract wolves and when eaten lead to their demise. Fortunately, the tomato plant rose above misconceptions proving itself to be healthy and full of vitamins, amino acids, and the antitoxin lycopene. Aside from being a healthy, tomatoes are also tasty, especially home-grown tomatoes. 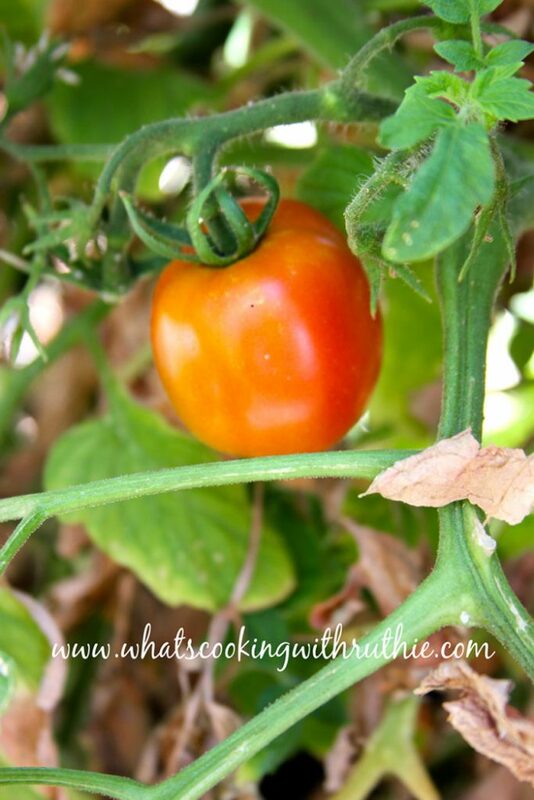 So how do you grow your own healthy, tasty tomatoes? After selecting a tomato that fits your taste and location, using a few simple gardening tips when planting and caring for your tomato will ensure you have delicious fruit all summer long. Unlike the misleading botanical name, tomato varieties come with variety names that can help you distinguish between over 2,500 types. Tomato names often indicate certain attributes of the tomato including shape, size, and color. For example, Wendy Wells, co-owner of the Well Medina Nursery and avid vegetable gardener, grows ‘Sungold’ tomatoes – a perfectly spherical cherry tomato the color of the sun and almost as dependable. Another Wells Medina staff favorite is ‘Chocolate Sprinkles,’ a small tomato that is dark like chocolate and as sweet as sugar sprinkles. ‘Maglia Rosa’ with its yellow and red stripes is named after the Italian biking jersey and is also speedy in fruit production. As its name suggests, ‘Goliath’ is large and invincible - being resistant to disease. Another slicer, ‘Pink Berkeley Tie Dye’ is an eye-catching, taste-stirring wonder that is psychedelic in color and sweet in taste. Recognizing the high demand for tomatoes and the challenge of finding unique varieties, Wendy’s sister and Wells Medina Nursery co-owner, Lisa Freed, has embarked on a mission to grow hard-to-find tomato varieties. This year Wells Medina Nursery will offer rare and hard-to-find tomato plants like ‘German Lunchbox,’ ‘Garden Gem,’ and 'Mr. Stripey' also known as ‘Tigerella’ for its unique striped pattern and tasty bite. Find a sunny location with 6 hours of full sun each day for your tomato plant. Prepare your soil to ensure it is well-draining and rich in compost. 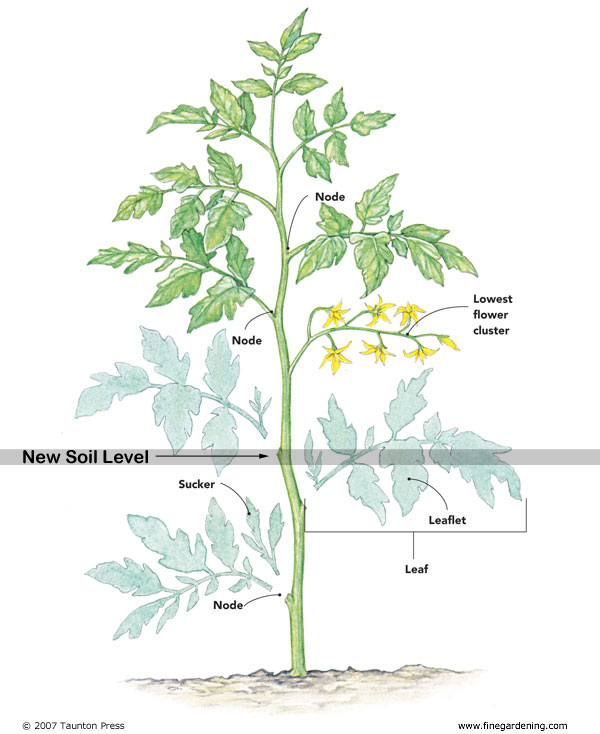 Remove the bottom leaves from the tomato plant and bury part of the stem (less than 6”). This will help the plant to build strong roots. Provide space and support (stakes or cages) for large growing varieties (indeterminate types). Add a thin layer of mulch around the base of the plant to keep the foliage dry. Select a container with good drainage that is 5 gallons in size, or larger. Use a potting soil that has water-retentive material. Consider growing a dwarf or determinate variety that is smaller in stature. Remember that plants in containers require more water and fertilizer. Whatever type of tomato you select, you’ll have fun experiencing the satisfaction of growing and eating your amazingly tasty fruit. Plus, as you work in the yard, you’ll love grabbing a burst of taste and nutrition as you pop a ‘Sungold’ into your mouth! Like Juliet’s rose, that which we call a tomato, by any other name would also taste as sweet. Visit Wells Medina Nursery for Tomato Tipoff, Friday and Saturday, May 18-19, 10am-6pm.